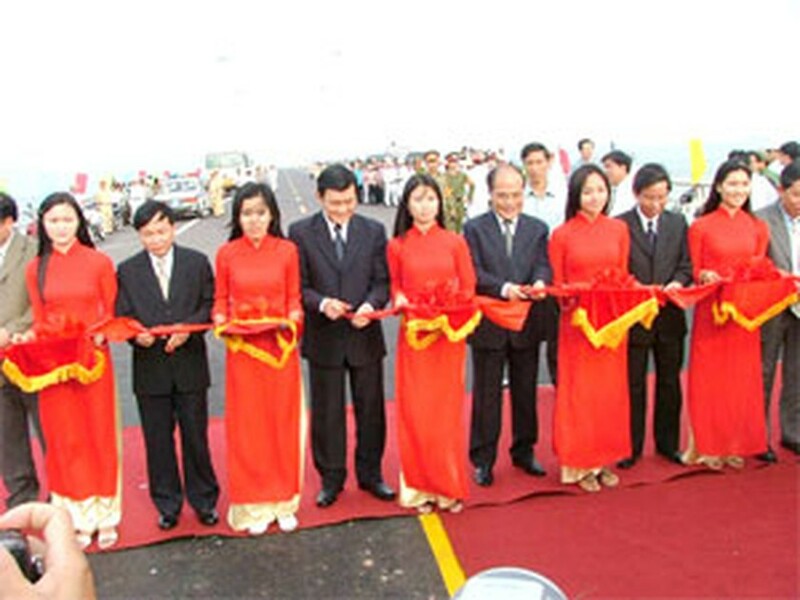 Tuesday was a special day for the people of Binh Dinh Province, for that was when Viet Nam’s longest sea-crossing bridge was inaugurated. It was also the day when several major projects got off the ground in Nhon Hoi Economic Zone, namely the VND840-billion Rainbow Resort, the VND181-billion Nhon Hoi Commercial-Service-Tourism Center and a VND393-billion infrastructure and telecommunications project for the entire zone. Thi Nai Bridge is 2.5 kilometers long and 15.5 meters wide and spans the lagoon that separates the city of Quy Nhon and Nhon Hoi EZ on Phuong Mai Peninsula. Early Tuesday morning, many residents rushed to Thi Nai Lagoon to witness the formal proceedings. Few could hide their pride in such an imposing structure. More than that, they hope it will lead them to a better tomorrow in a barren sandy land where poverty reigns supreme. A 72-year-old resident spoke what was in the minds of many onlookers: “We’re so glad because it is such a great chance for us to escape poverty. I hope our children will find jobs in Nhon Hoi Economic Zone”. 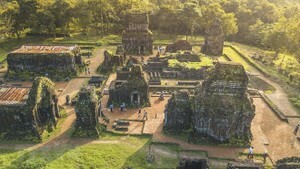 A local official said he was pleased that the residents had sacrificed their own interests for the construction of Nhon Hoi EZ. Around 500 households had to be resettled in Nhon Phuoc, but none of them objected. In fact, they seemed happy to accept. 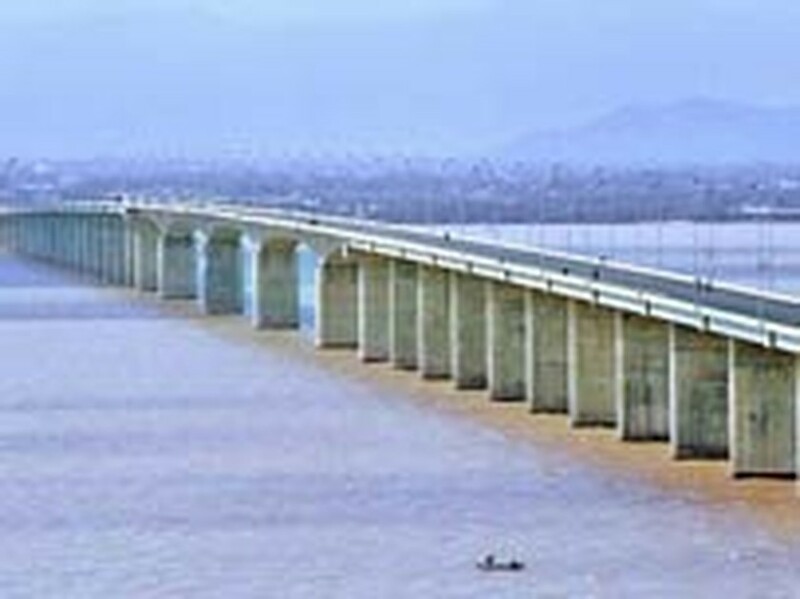 Vietnamese and foreign experts spoke highly of the bridge, which narrows the distance between Quy Nhon and Nhon Hoi EZ. The VND582-billion project will make road travel to and from Nhon Hoi that much easier, attract more investors to develop the coastal area, and even narrow the development gap between different regions of Viet Nam. To date, 40 companies have registered to invest US$3.5 billion in Nhon Hoi EZ.